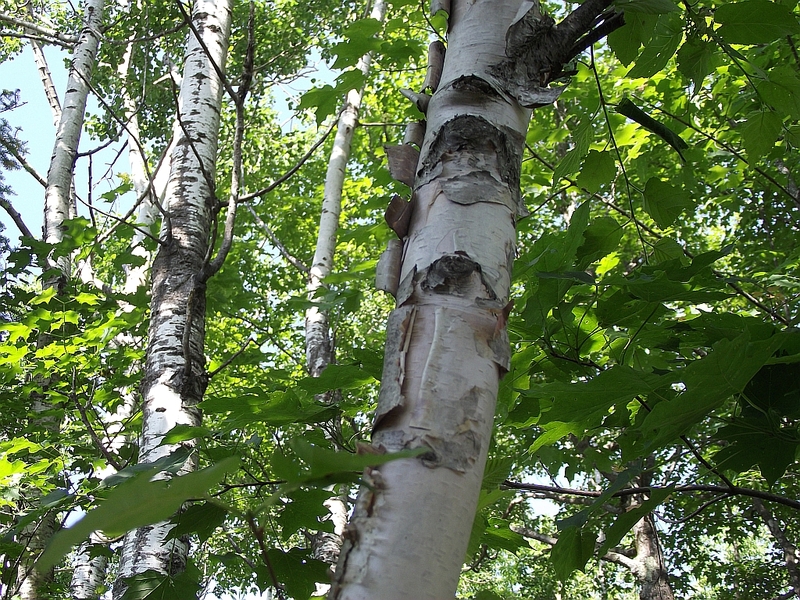 The White Birch is a small to medium sized deciduous tree which grows to seventy to eighty feet in height. A man could walk up on fifty different Birch trees and all of them pass by, for not all Birches are equal or have the particular properties of the perfect White Birch. 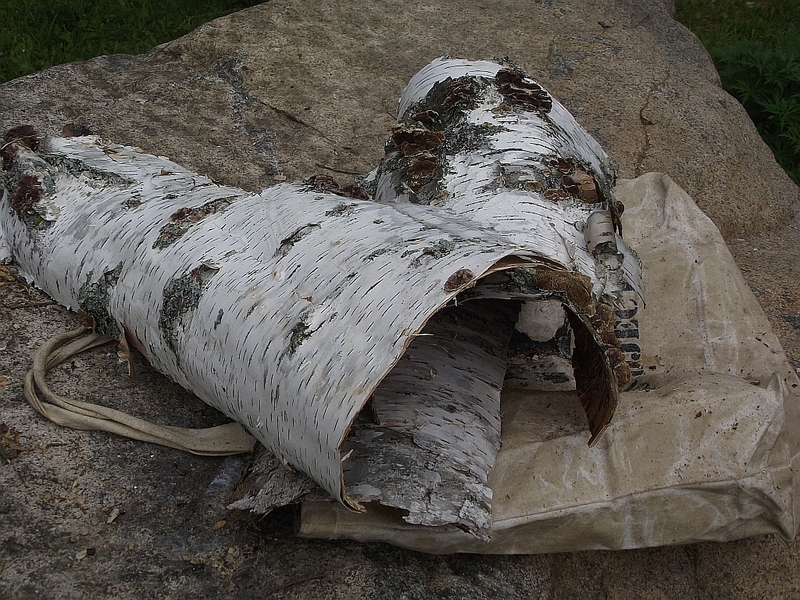 When I gather Birch bark it's nearly always from already dead trees. The bark will long outlast the rest of the tree. 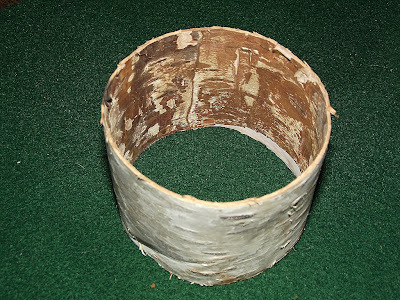 One of my preferred methods is to find a dead, still standing medium sized Birch, push it over. 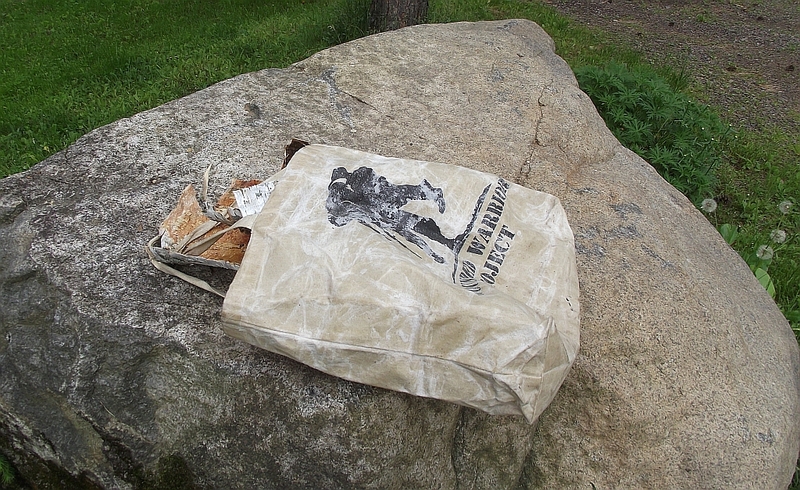 Then I unzip the bark with my knife, and push/pull the bark by hand. Often this results in nice long and wide pieces that are perfectly serviceable. You can harvest bark from a living tree without killing the tree, though I prefer not to harvest in this manner. I often find them shedding bark, regardless of the season, making it easy to peel or pick up what the tree is already discarding. 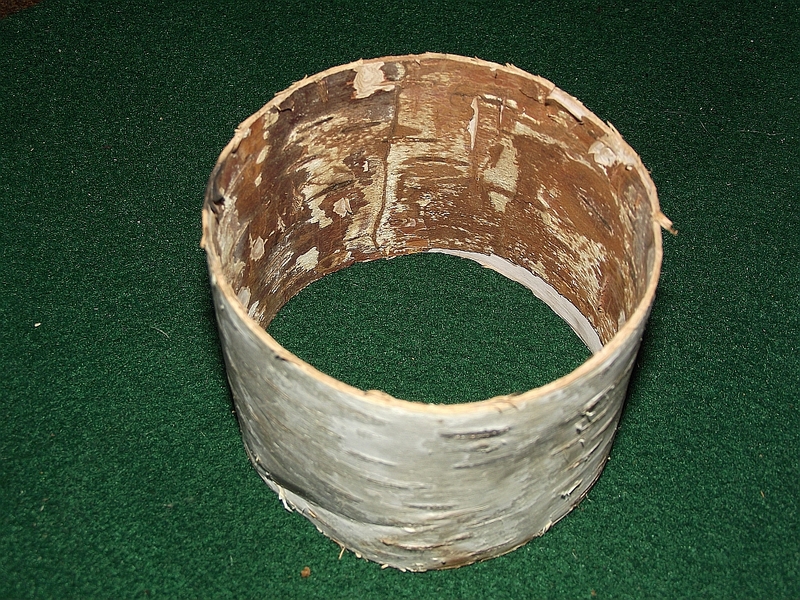 Here's an example of spending five minutes on a recently fallen Birch. 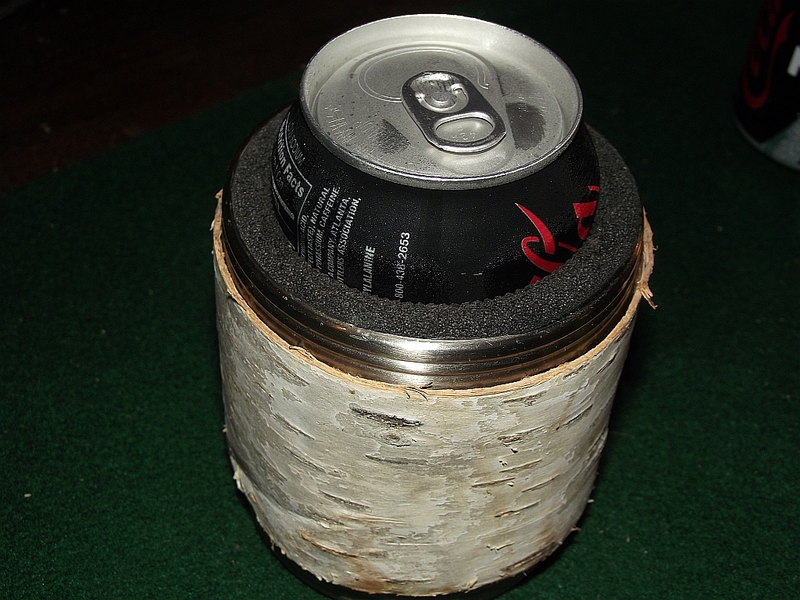 I found a smallish downed Birch not to long ago, the diameter of which was a perfect match for a can cooler. 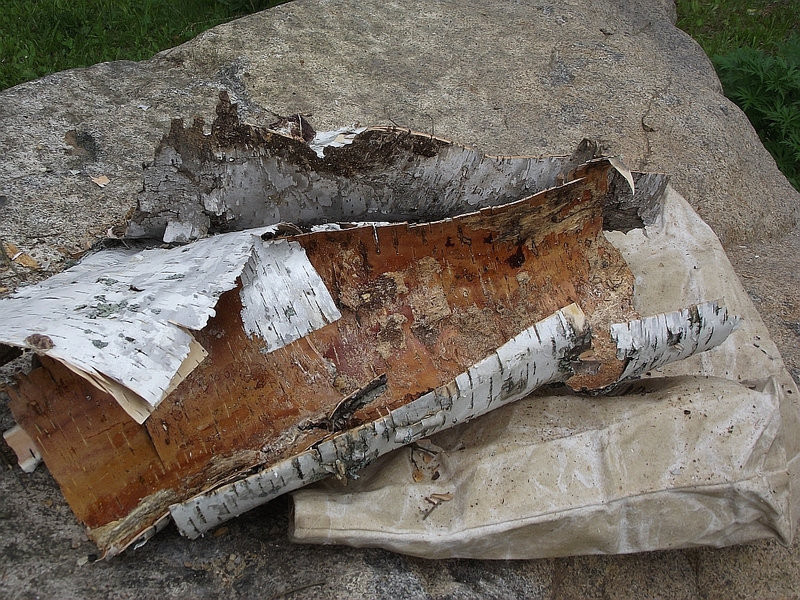 Birch bark is an excellent fire starting material, I personally rank it higher and prefer it to the best fatwood. 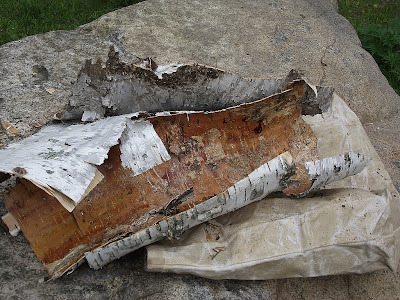 In virtually all of my fire starting videos Birch bark is playing a role. 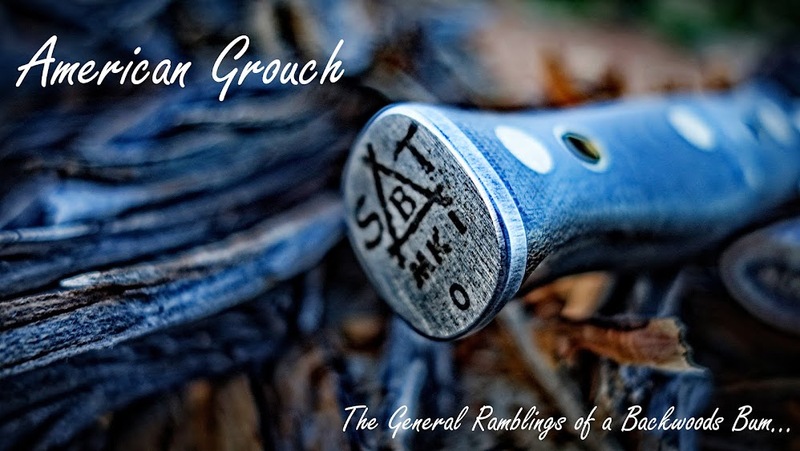 The oils within the bark are highly flammable and quite water resistant, it' burn even when wet. In the video below I've woven Birch bark strips into the twig bundle. Fluffed and roughed up some of it to make a nice nest for the spark. Only took a strike or two. 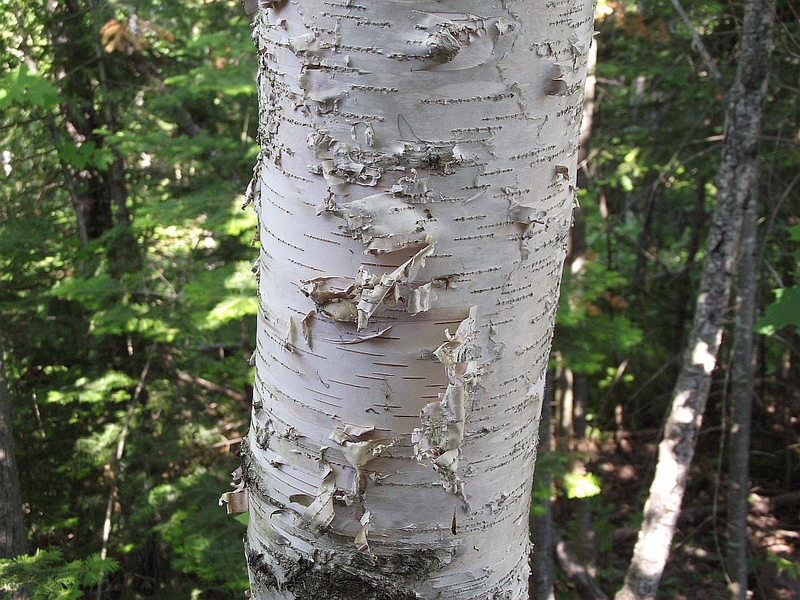 When fire means life, the Birch tree's gift of bark is truly life giving. 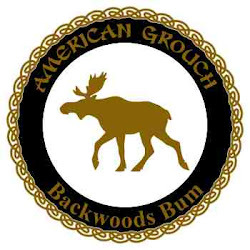 Eating boil, roast and grind the inner bark and use as flour. Eat the young leaves raw or boiled. Eat the young flowers. 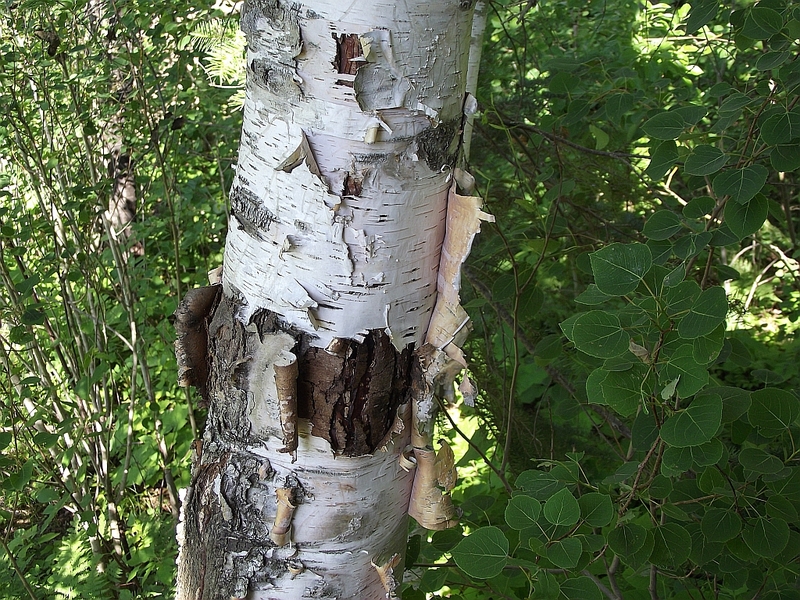 Sugar production cut a 'V' shape in the bark and catch the sap in a hanging pot. The best time to do this is early spring, on a warm day following a frost. 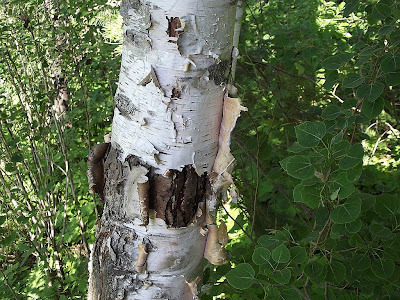 Birch tar distilled from the bark.. This makes leather waterproof and is an insect repellent, adhesive. Same Buck from last week, only bigger.